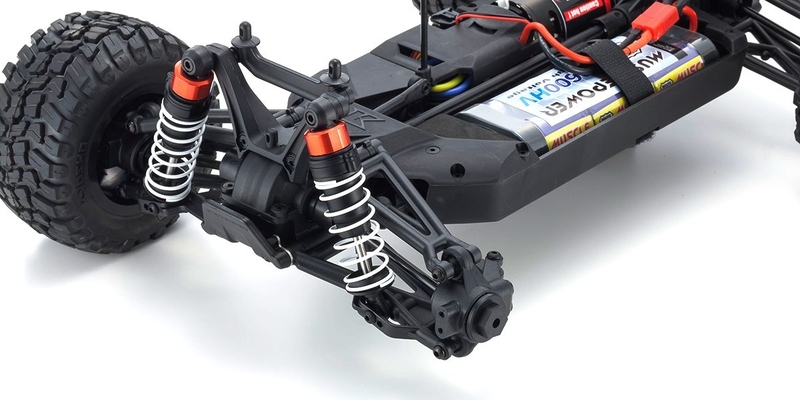 Simple low center of gravity upper deckless chassis design features an electronic speed controller and receiver cover and a one-piece gearbox that optimizes main chassis torsional rigidity and strength while reducing weight with the introduction of lightweight impact-resistant nylon. 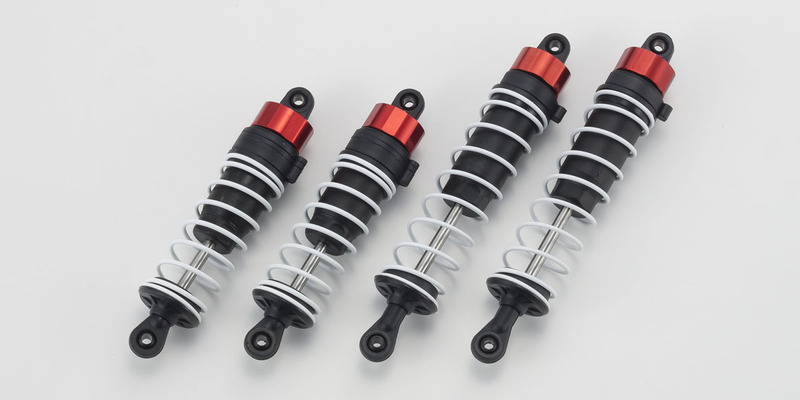 New design big bore oil shocks mark an evolutionary step up from previous models to power over rough surfaces with ease. 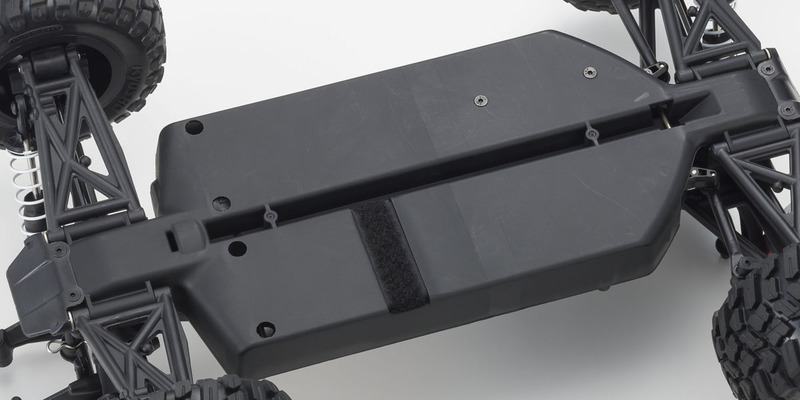 Optimal front-rear geometry and balance delivers both light handling and precise control simultaneously. 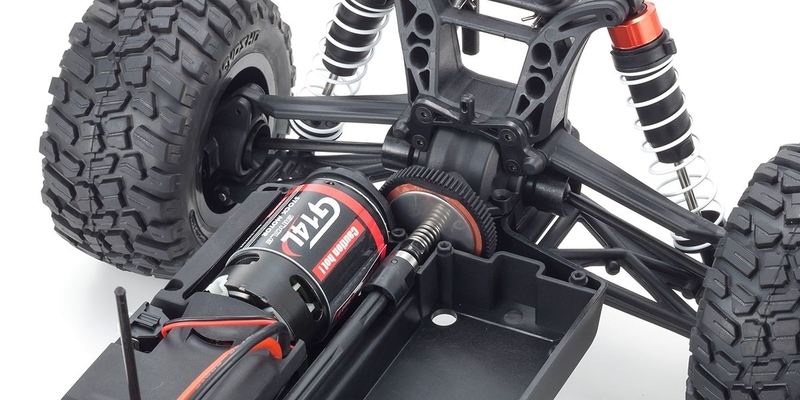 Equipped with slipper clutch to protect the drive system from the shocks of hard driving and jump landings as well as realizing optimal traction. Standard spur and pinion gear setting is 75T and 22T, but 9 pinion gear settings can be used from 22T – 30T to produce a wide range of gear ratio settings(When using pinion gear which is higher than 23T, it is recommended to change the motor). The new fixed gear mesh motor mount has holes for use with each different pinion gears. 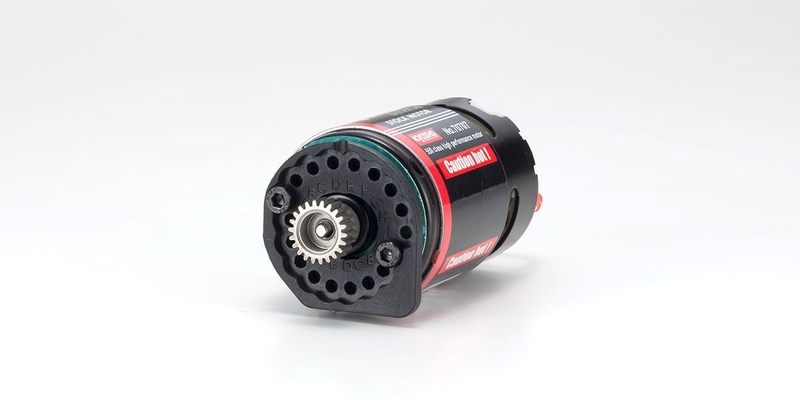 Just simply mount the motor directly to the hole locations corresponding to the pinion gear. No gear mesh adjustment is necessary. 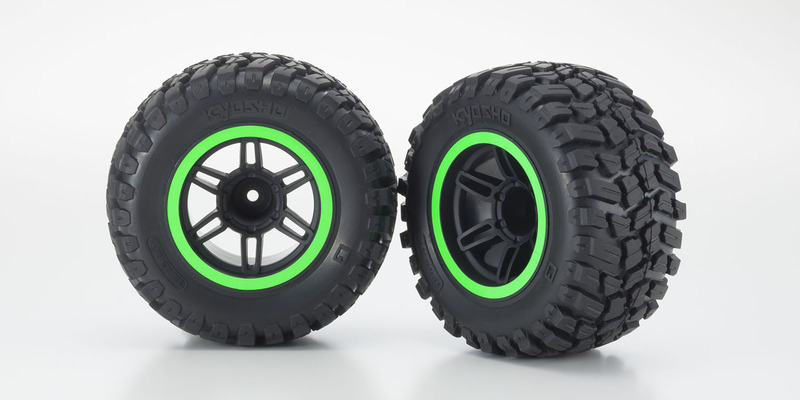 Tires and wheels combine with oil shocks and suspension for balance and easy handling to realize dynamic performance over any terrain. 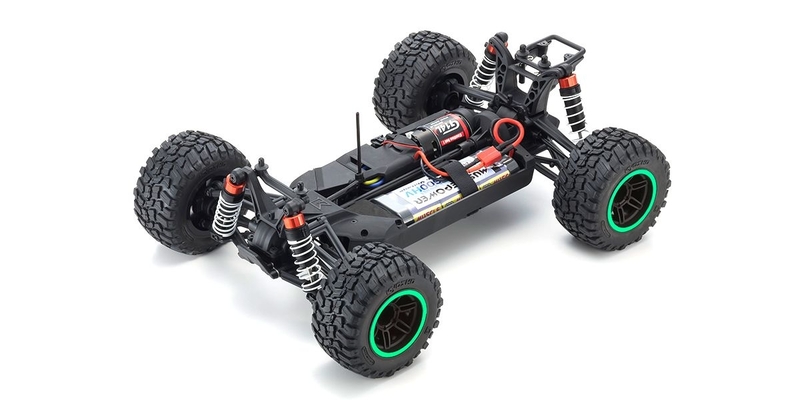 Large capacity 60A KYOSHO SPEED HOUSE KA060-91W electronic speed controller (super plug connector) features three modes: FWD/Brake/REV (initial setting). FWD/Brake, and FWD/REV. 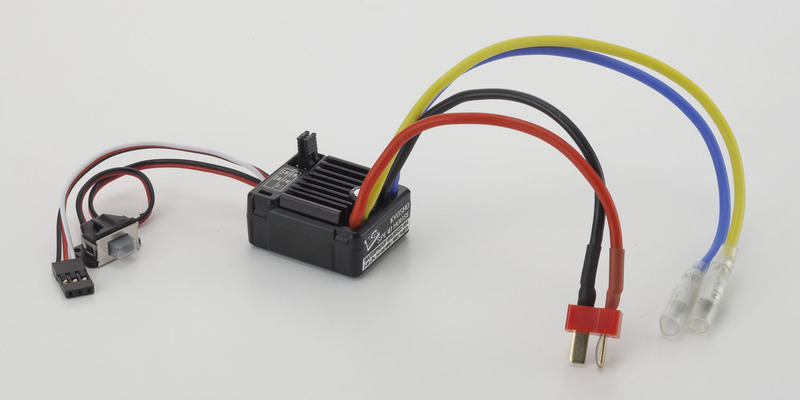 The electronic speed controller is compatible with both NiMh(7.2V-8.4V) and Li-Po(2S) battery packs(Factory setting is on Li-Po mode for safety reasons). 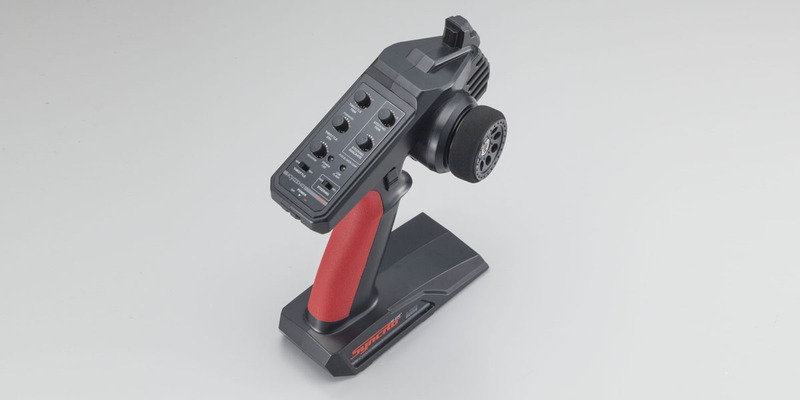 2.4GHz Syncro KT-231P+ transmitter allows throttle trim, steering trim, throttle EPA and steering dual rate to be set with a simple turn of a dial.